The one where Vicki agrees with Sam Keen, that sometimes what looks like a fight is only the fierceness of love. 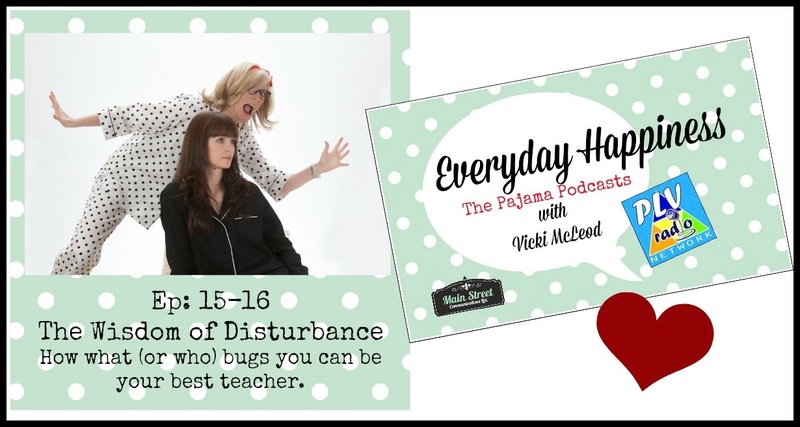 In this week’s Pajama Podcast, we we take a look at the wisdom of disturbance and how we can use conflict as a conscious pathway to change. I know, I know. This flies in the face of our usual approach to conflict which is to avoid it, escalate it, resent it, or hold a grudge about it. The river of relationship can be turbulent at times. What if instead of avoiding the white water, we waded right in? Yes, I am asking you to take a look at it through a different lens. What if disturbance was an ally, and what if we got curious and tried to make friends with it a little bit? How would it change your relationships and the way you engage? What about the impact on the world? Paying attention to what bugs, annoys, irritates, frightens us or creates jealousy and resentment can be our greatest teacher. If we let it. Listen in on the podcast by clicking here. A special thank you to Greg Stuart of Grene Genes Productions for tech support. The beautiful theme music is ‘Before and Again’ composed and recorded by GJR Stuart at Grene Genes Productions, Maple Ridge BC. Those seamless transitions and magic flourishes are all his. The podcast about noticing what’s trying to get our attention. So, dish! What is conflict trying to teach you? What change is trying to happen?